A delicious pasta salad that can be prepared fresh or from pre-prepared elements for a healthy lunch or side! Place the pasta spirals in a pot of boiling water with a pinch of salt. Stir occasionally, and allow the pasta and water to boil until the pasta is cooked. At the same time, boil water in a second pot. Once the water is boiling, place the eggs carefully into the pot and boil for 3-5 minutes, depending on the desired runniness of the egg. Remove the eggs from the water and set aside to cool. Once the pasta is cooked, place a colander in a clean sink and carefully pour the pasta into the colander to drain. Run the pasta under cool tap water, gently tossing the pasta with a spoon so the water reaches all of the pasta spirals. Once drained, place half a teaspoon of olive oil on the pasta and toss through to coat the pasta and prevent it from sticking together. 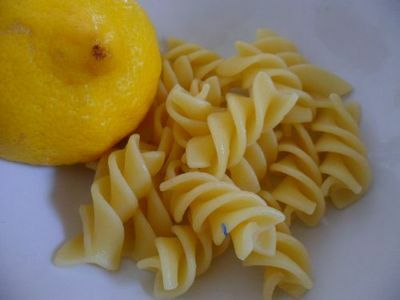 Place the pasta into a mixing bowl, sprinkle the pasta with lemon juice and toss through with a pair of spoons to coat the pasta in lemon. 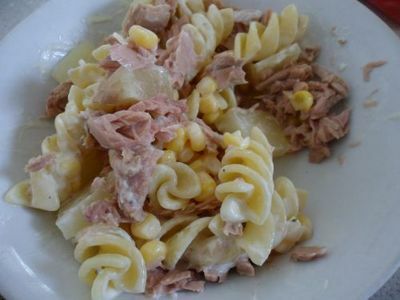 Dollop on the mayonnaise and mix the mayonnaise through to evenly coat the pasta. 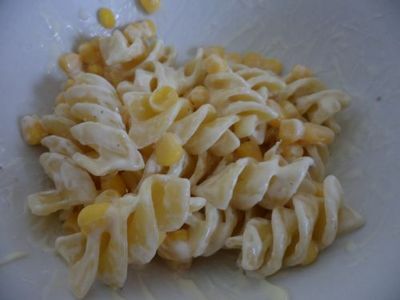 Drain the corn kernels and pour these onto the pasta, then mix through. Cut a bunch of chives into the pasta and stir. 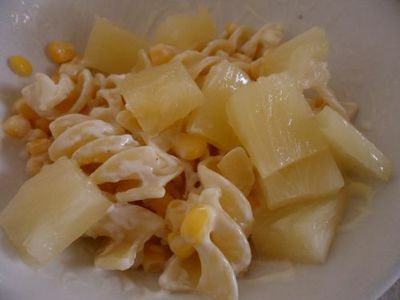 Slice the pineapple into small chunks, place these into the pasta and toss through. Drain the tuna. 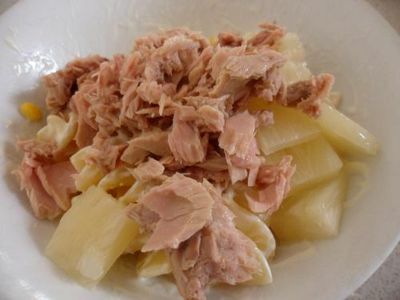 Use a fork to flake the tuna onto the pasta, then toss through to combine. Divide the pasta salad evenly between bowls. 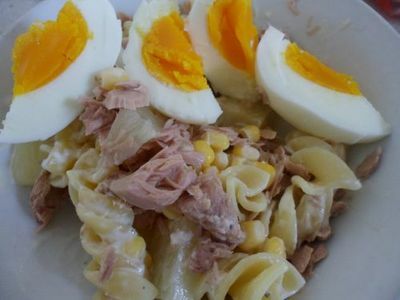 Peel the boiled eggs, slice each into four pieces, and place the slices of one egg onto each of the pasta salad bowls. Serve straight away or store in an airtight container and pack some salad for lunch during the day!